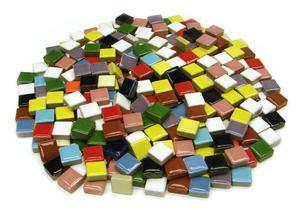 Mosaic materials known as tessera is a single piece of tile usually formed in the shape of a square. In the beginning limestone or marble was cut into small squares that were arranged into the design. 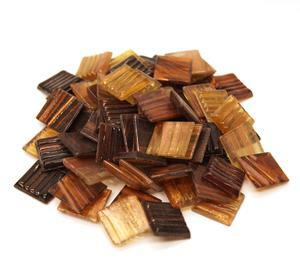 Later, tesserae were made from clear glass backed with metal foils or just coloured glass. Gold leaves were also used, where two flatter pieces of glass would sandwich the gold. This method produced a golden glitter emanating from the tesserae, causing a more luminous and richer effect. 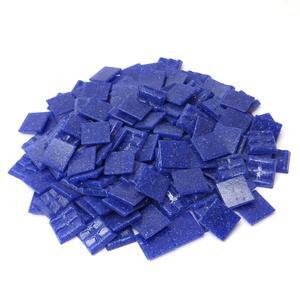 Today there are many different types of tesserae, some are easier to use and easier to find than others. Most of them can be bought in small quantities or you can break them down yourself into smaller pieces. 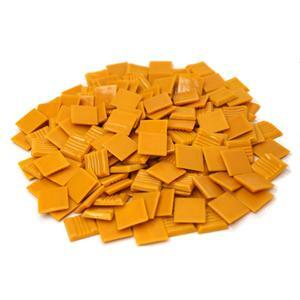 Assorted tiny ceramic tiles come in different shapes and sizes. These mosaic glass tiles are delightfully colored and have a solid opaque base with an accent color swirled in for an amazing effect. 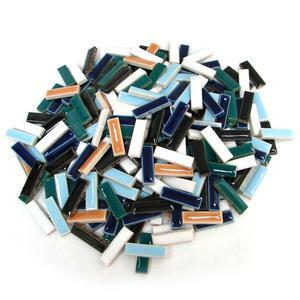 Venetian Glass Tiles offers the widest range of colors and will give depth and resonance to your mosaic. 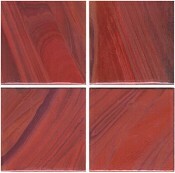 Venetian Tile is good for use on walls, tables, and decorative objects. 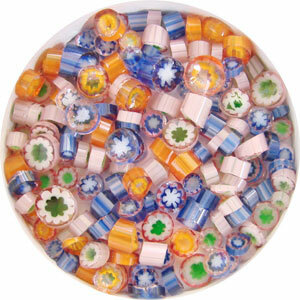 Colourfully patterned glass slices will add a burst of excitement to any mosaic glass project. These mosaic stone tiles are the perfect marriage of history and art. The colors are all based on the subtle colors of ancient Greek and Roman mosaics. 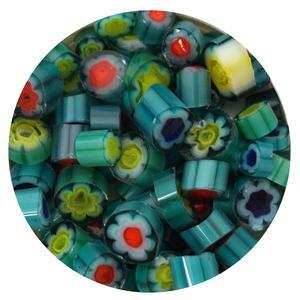 Now that you've decided on a pattern and selected the product you will be using to make your mosaic, you need your tools and accessories to start your creation. 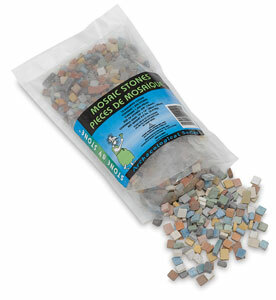 Before starting your creation make sure to check out the different methods you can use to make your own mosaic.